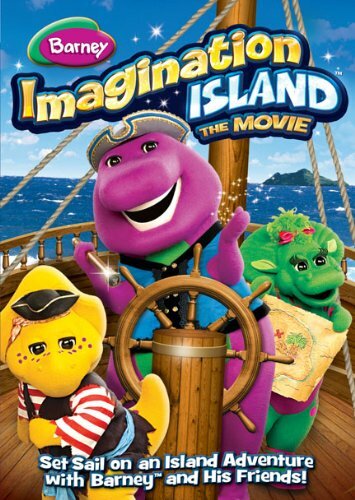 Set sail on a magical journey to Imagination Island in Barney's full-length movie! When a giant wave leaves the ship stranded atop a group of palm trees, Barney and his friends set out to explore the jungle island. There, they meet Professor Tinkerputt – a toy inventor who doesn’t want anyone to play with his toys. Join the adventure and see if Barney and his friends can show the professor that good things happen when you share. Manufacturer: Lyons / Hit Ent. Publisher: Lyons / Hit Ent. If you have any questions about this product by Trimark Home Video, contact us by completing and submitting the form below. If you are looking for a specif part number, please include it with your message.